One of the most important things you can do in your business is build relationships with your prospects and customers. Build a good relationship is what turns prospects into customers, and it turns customers into repeat buyers. A really good relationship cements your customers’ loyalty and gets them talking about your business to their friends and family. Eliminate the words “good enough” from your vocabulary, and instead focus on offering exceptional products and services in your marketplace. Be ruthless about constantly improving your products and services. One key to this is to listen to your customers’ feedback and act on the very best suggestions. Be sure to also place a high priority on creating a good experience for your customer, as this is what turns one-time buyers into repeat customers. For example, if you have an online ordering process, then be sure your process includes sending plenty of emails to the customer so they know when their order has been processed, when it has shipped, and when they can expect it to arrive. You can’t hardly build relationships if you’re hiding behind a website or in the back room of an office. That’s why you need to get out and be as accessible as possible to people. One really good way to do this is to get on social media, especially Facebook and Twitter. This not only makes you more accessible and visible to a wider market, it also gives your visitors any easy way to share your content and marketing messages. In addition to social media, you can also reach your customers and prospects through a regularly updated blog as well as through a mailing list. These are great ways to build relationships, and you can even do it largely on autopilot by uploading evergreen content to your blog and autoresponder. When you do something for people, they tend to want to return the favor. This is the law of reciprocity, and it’s the reason you feel psychologically uncomfortable if someone does something nice for you and you don’t return the favor. Now you can tap into this psychological trigger to build your business. For example, offer your mailing list free valuable resources to help them solve their problems. Not only does this give your prospects a chance to see the quality of your solutions, but it also trips their reciprocity trigger. Now, this doesn’t mean you should only give so that you can get. 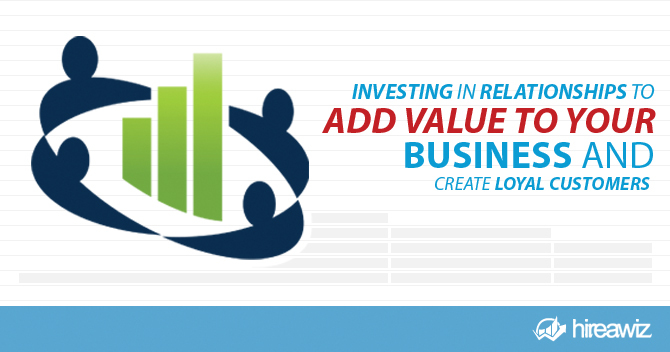 Give freely, and you’ll see the returns naturally flow into your business. Most of the time when people interact with a business, they feel like just a number. They get a customer number and an order number. None of this makes people feel special. How do you do this? By making sure every communication makes customers feel special. This includes your autoresponder messages all the way through to your live customer service experiences. Go out of your way to help people and make them feel special, and they’ll go out of their way to do more business with you. Once you start developing good bonds with your customers, they’ll be more willing to refer their friends and family to them. However, they need a good reason to do so. Sure, you can start a referral program which gives both the referral and the existing customer some sort of discount or other reward. That’s always a great way to increase referrals. But beyond that, you need to make your customers feel like they’re doing important work by spreading your message. Let them know how they’re improving lives by spreading your marketing message. Again, make them feel like they’re a part of something special, and they’ll want to share this feeling with their friends. The bottom line is to stop treating your prospects and customers like numbers, and start making them feel special. If you can provide a great experience for them, along with exceptional solutions to their problems, they’ll want to tell their friends and become lifelong customers. Of course all of this starts with you bringing in more traffic to your business, capturing them on a mailing list, and communicating with them on social media. Question is, how do you implement this sort of strategy? The answer: join other savvy small business owners and have the experienced marketing team at Hire a Wiz develop and implement a successful strategy for you. Click here to learn more about how you can develop the right social media strategy for you.